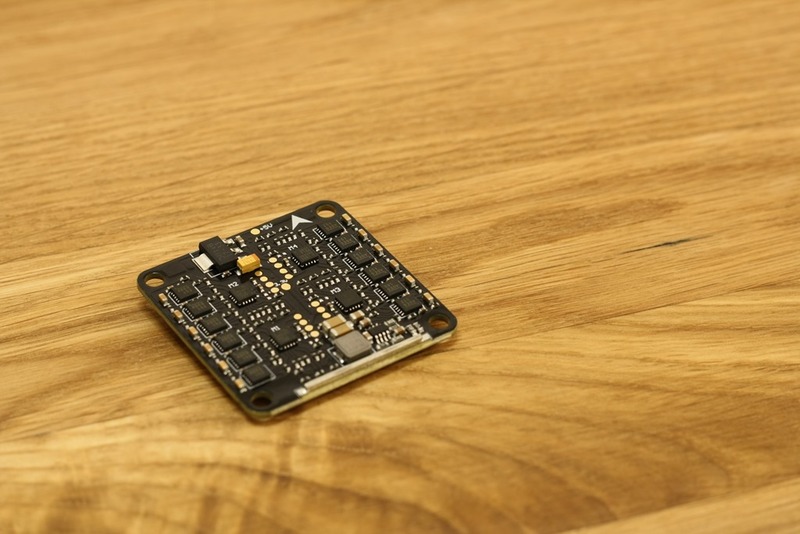 Aikon Electronics, the company which brought one of the first BLHeliS capable ESCs on the market last year, announced their new BLHeliS ESC – Aikon SEFM 30A 4-in-1. 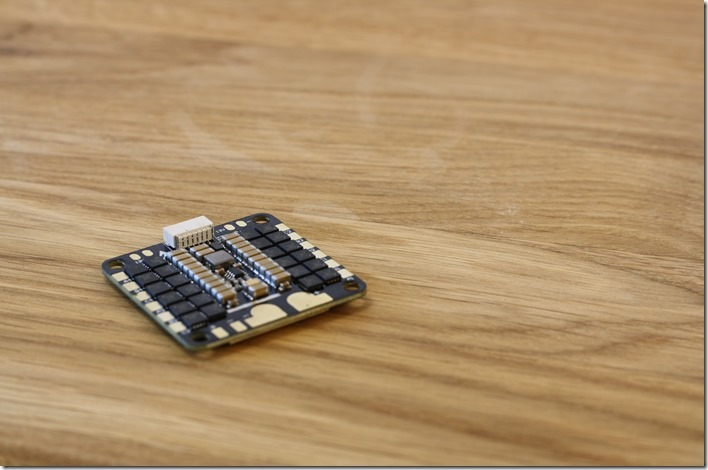 We are happy to be one of the first, who have received prototypes of the new ESC for testing. The BusyBee2 MCU running at 50Mhz is standard for all the current BLHeliS ESCs. The same MCU is featured on the Aikon SEFM 30A single ESC. 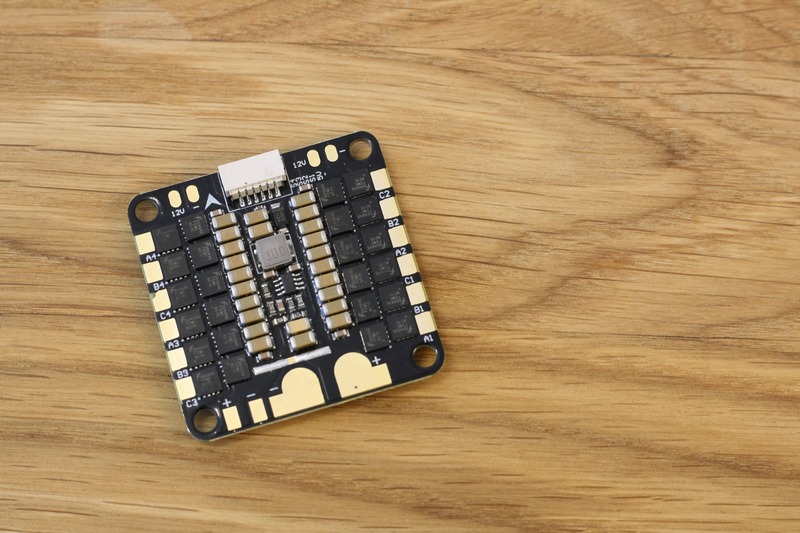 The 4-in-1 ESC has a size of 36x36mm and weight of 15g. It allows an easy integration in your mini quadcopter and saves you some weight. We are going to use this ESC in our next build and show you how to solder everything in place. Unlike the standard Aikon SEMF 30A, the new 4-in-1 features a 5V and 12V BEC. You don´t need additional power distribution board anymore. The 5V BEC can power your flight controller, while the 12V BEC can be used to power your FPV equipment. The manufacturing quality of the new Aikon SEFM 30A 4-in-1 is the best one of all ESCs, that we have tested. The PCB board is thick enough to handle the current and heat of all 4 ESC. On the front you can find the same MOSEFTs like on the single Aikon 30A ESC: Fairchild FDMC 8010. On the back are the BB21 MCUs and the dedicated MP1907 MOSFET drivers. A connection plan how to solder the motors and all other components can be found on Philipp´s blog. The Aikon SEFM 30A 4-in-1 comes preloaded with the BLHeliS 16.5 firmware (C_H_40), which is the official revision that supports DSHOT protocol. You can easily upgrade to the latest BLHeliS using a Cleanflight/Betaflight flight controller and the passthrough method. We have used the professional RCbenchmark thrust stand, our new SkyRC eFuel 1200W power supply, T-Motor F80 and the Cobra Champion CP2205 for our thrust tests. The Aikon ESC was absolutely cool after the test, about 35°C. The maximum thrust is about 33g lower compared to the standard Aikon SEFM 30A. Despite the 40A current during the 6” propeller thrust test, the ESC temperature was about 45°C (we run the ESC at maximum throttle for 2 seconds). Next thrust test was with the Cobra Champion CP2205 2500kv motor and the HQ 5x4x3 Skitzo propeller. ESC temperature after the test – 50°C. *The Aikon 4-in-1 ESC is rated for maximum 4S LiPo (16.8 V). However we decided to test it to the limits on a 5S LiPo (21 V) and with HQ5045 propeller. Amazing 900W of electrical power! The ESC got very hot (60°C), but survived without a problem. Note: use the Aikon ESC with 5S only on your own responsibility. We are not liable for any damage. We like the great build quality and the 4-in-1 design of the new Aikon SEMF 30A. You can easy mount it under the flight controller and at the same time power all of your equipment via the integrated BEC. It is small, supports all the current protocols and can handle a lot of power. You can pre-order the Aikon SEMF 30A 4-in-1 at multirotorparts.com or helidirect.com at the moment.